A N O N Y M O U S - A N C R E - G O U P I L L E S - 'M I L I T A R Y' - 8 6 0 3 2 4 - Men - "The Swinging Sixties"
!! 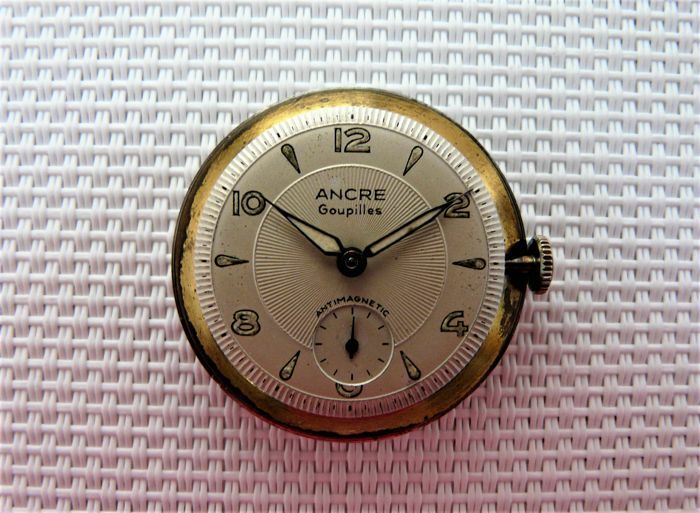 !A NO RESERVE AUCTION FOR A FRENCH HOROLOGICAL WORK OF ART!!! 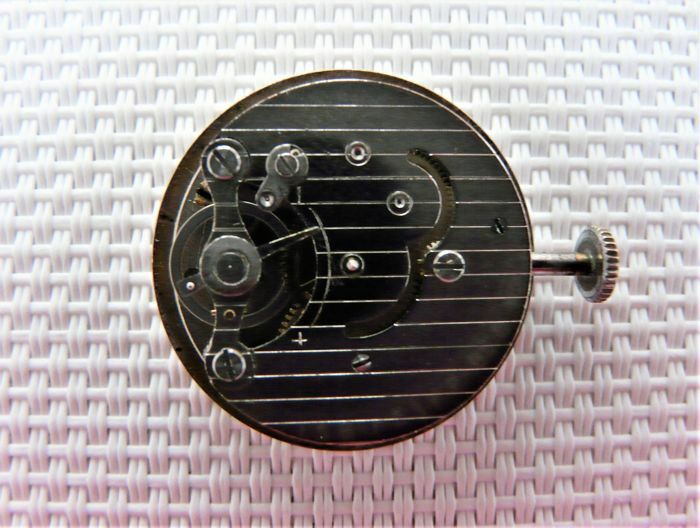 Movement: Ancre-Goupilles, probably by Eppler (pin-lever). Serviced by my watchmaker who shook his head sadly before lunch and smiled happily after. He paid too and he knows why I love this watch! I bought this watch for its classical beauty, and I can honestly say that it has never failed to start and still keeps time. It has received far more compliments than my Omega Ranchero :-)) ! 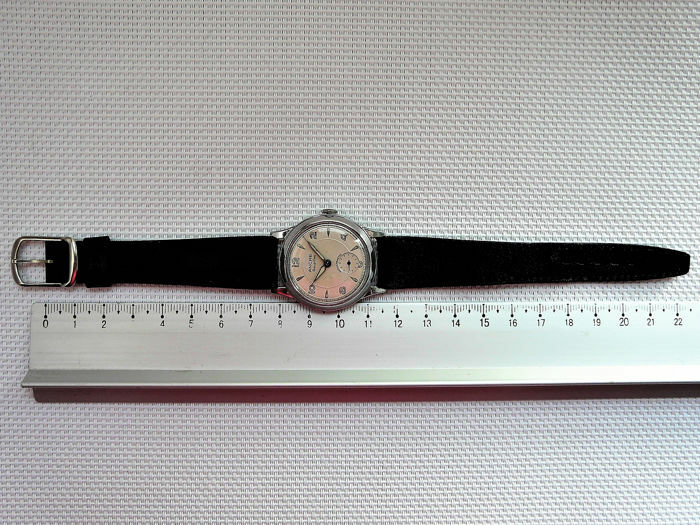 Examine the photos carefully; they form the majority of this incredibly rare vintage French watch's description. The "No-Name" will be carefully wrapped (see my Feedback; bid with confidence!) and shipped via Colissimo Insured & Signed For. 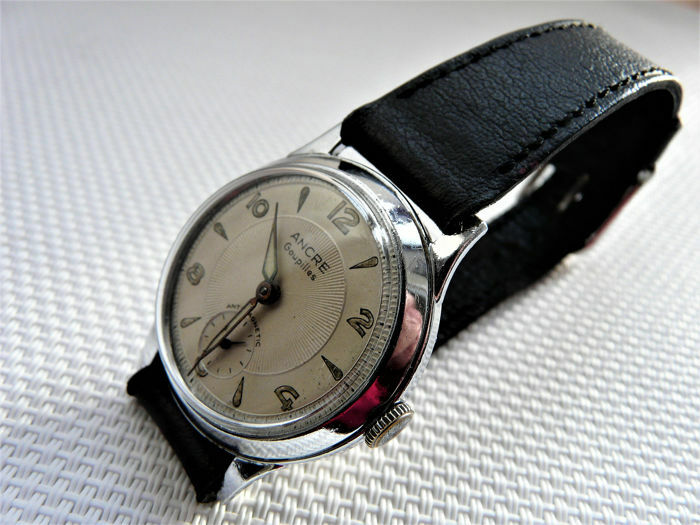 I have been collecting watches for some 50 years, starting with Tavannes/Cymas and later Crotons. 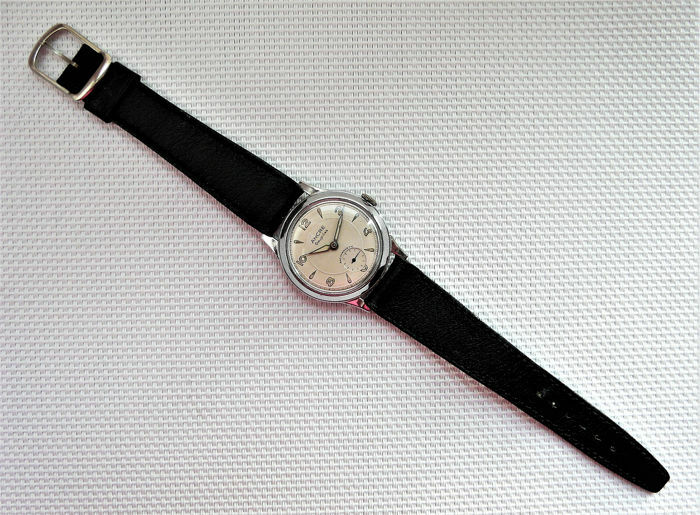 My first watch was a Tavannes/Cyma given to my mother during the London 'Blitz' in WW2. 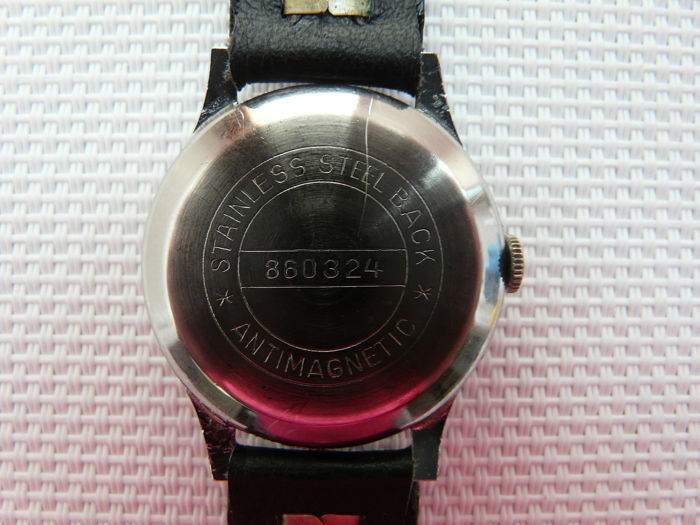 Like many of my watches, this one has an interesting history. My mother joined the ATS (The Auxiliary Territorial Service) early in 1941 and became one of a fleet of drivers who chauffeured the likes of Winston Churchill and later General Eisenhower. The watches arrived two weeks later! How they came is another story! 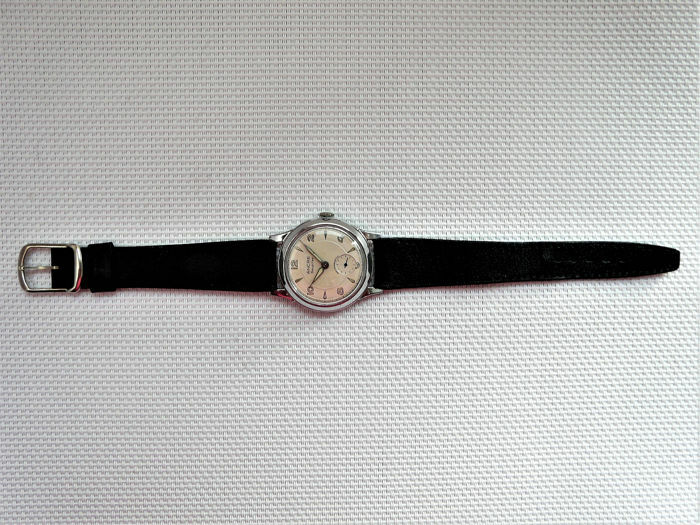 So that was watch number one which my mother gave me when I went away to school about 13 years later. I still have it and it still keeps time. Once I started work, I bought a watch a month for about 20 years and then on average 1.5 a month for the next 20 years. 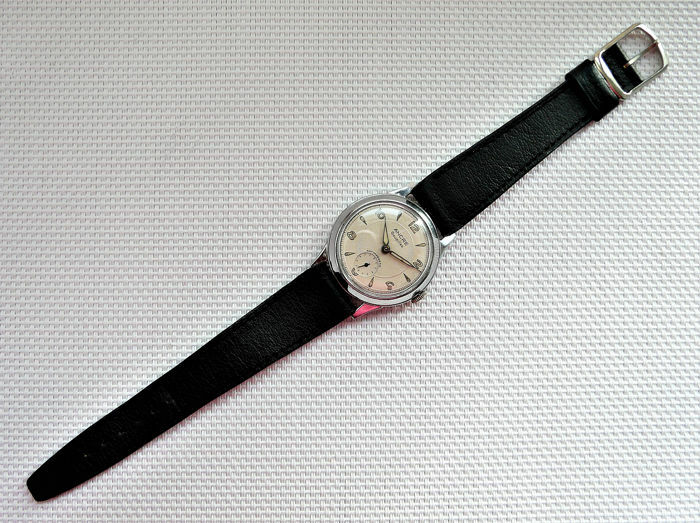 This formed the basis of my collection though I still buy the odd watch for parts or sometimes because I feel like it! 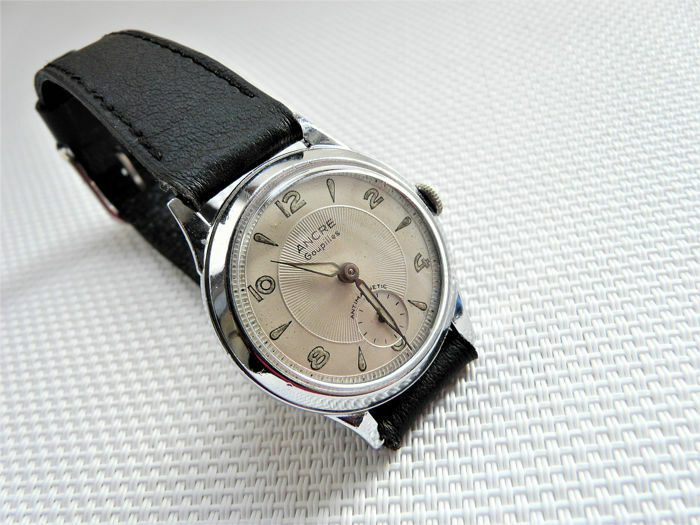 I have always cared about my watches and when I sell one it is like losing an old friend. Accordingly I try and make sure that they are in good order and/or serviced before being well packed. Finally I strongly recommend that you read my Feedback; it tells its own story! I'm very satisfied to have purchased the AERO. Really well preserved, an accurate description matches perfectly with the object received. >> I'll keep it with care ! I am very happy that the Aero has gone to such a discerning buyer! It is my policy neither to misdescribe watches nor to try and hide any faults when taking photos. Thank you very much for your honest feedback. I am very pleased to hear that you now have the watch. How did you find the watch? Was it what you expected? Were you happy with the transaction? Lucky you to be in Rome! Sono molto piacevole che siete felice. Finestra della data a 0,900 ed automatico = circa 1975 vero!!!! 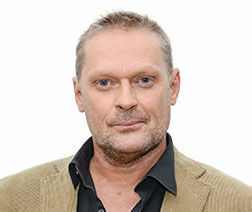 Super goed omschreven en nette verkoper. I am very happy to hear that you were happy with everything. However I am sorry that the watch was not in a box as usual. My box supplier did not deliver on time. 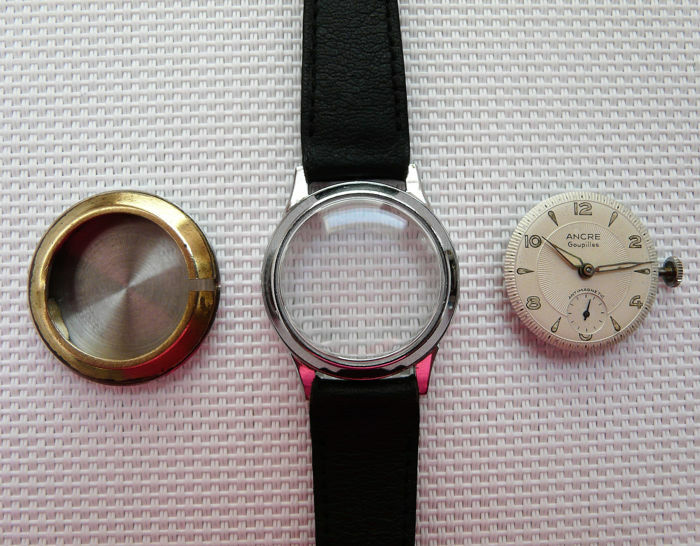 The watch is usually as you received with the postal sack inside a box! This was a perfect transaction in every way!! Watch was as described and delivery was quick and packaged well! Great company thanks!!! Uitstekend, snel en goed verpakt. Thank you but I always try to deliver! How was the Ancre-Gouplilles? Another perfectly working beauty from my favourite watch guy! Não me vou repetir sobre a eficácia do transporte e a qualidade do produto adquirido. Mais um excelente CROTON para a minha coleção. 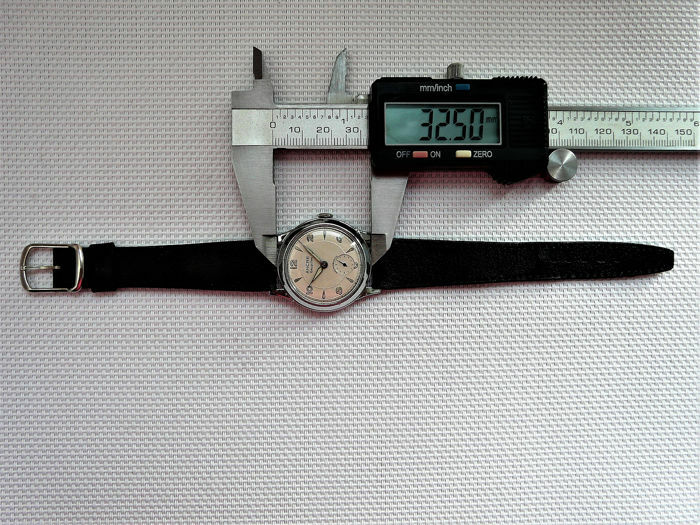 Nice watch, send soon and well packed. Nice contact with seller. Watch is running to fast. 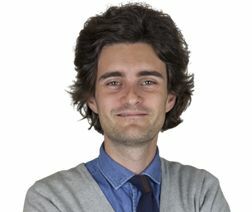 Envoi rapide, emballage impeccable. 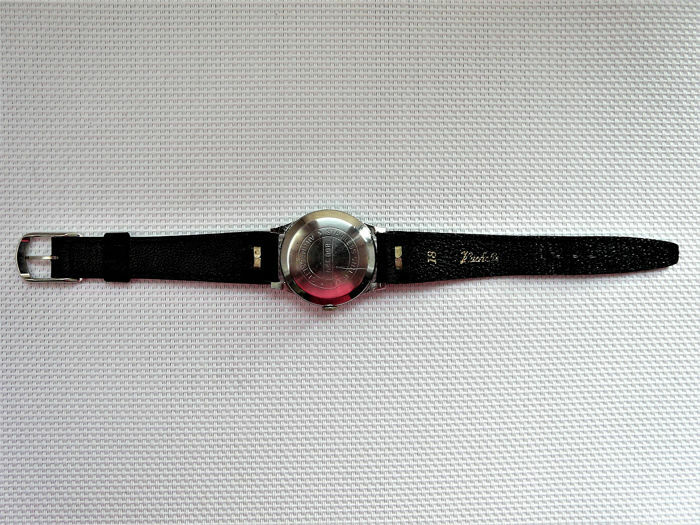 La montre fonctionne parfaitement! 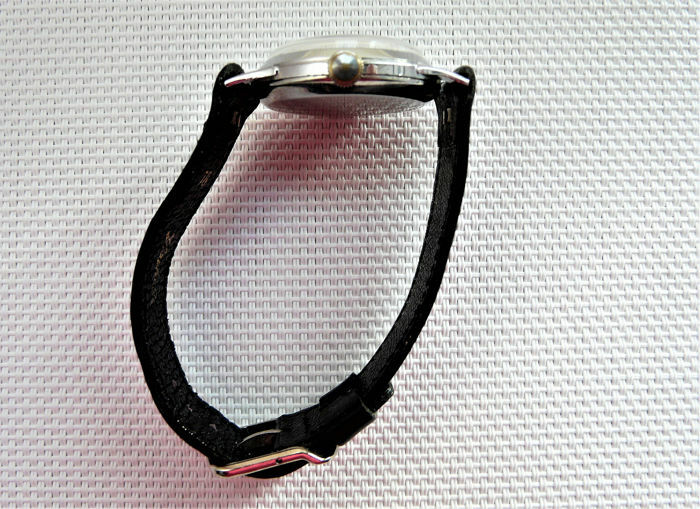 The item has arrived quickly, packaging was perfect, watch carefully put between soft materials. 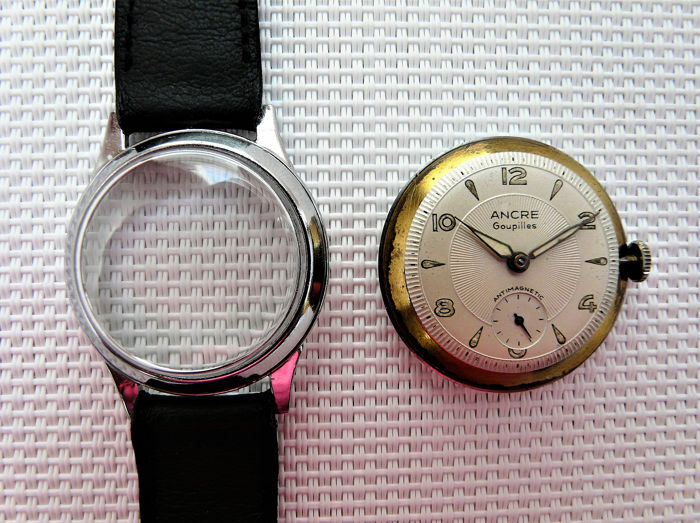 The item is just as described, and comes with a guide for caring about old watches. Alles gut und wie angekündigt. Besonders gute Info und Beratung. Vielen Dank. Really pleased with the watch, was described very accurately. 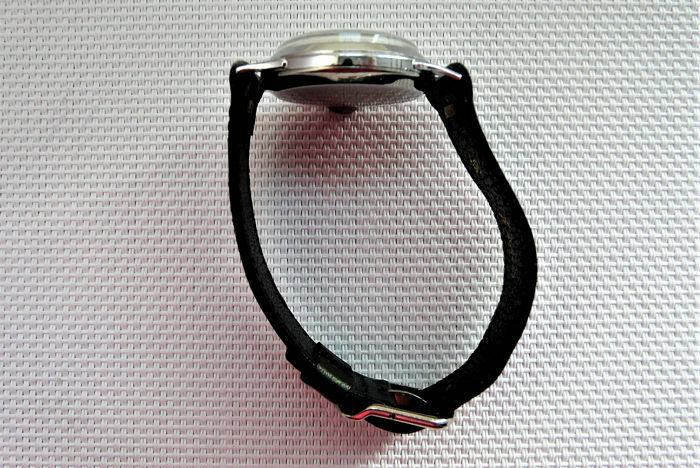 Superbly packaged and included details about vintage watch care. Would buy from this seller without hesitation. Nice watch, quick delivery, very well packed, overall a good purchase. Quick response also from te seller when i asked him a question via e-mail. Again, very satisfied with the watch and the way of delivery. You can pick up this lot from the seller: SIGOURNAIS (Pays de la Loire), France.